Around our house these days there’s a lot of talk about places we’d like to visit. Right now, we’re just armchair traveling but we’re getting ideas. Last night Croatia soared to number one on my hubby’s must see list. Next week it will be somewhere else. We’re having a great time travel dreaming. The list grows and it’s my job to figure out how to make it happen. I LOVE this part. It’s where my creative spirit soars and my laptop and Google are getting a workout. I thank Al Gore every day for inventing the internet. Number one on my travel bucket list is living in a place (or hopefully several different places) for months at a time. I want to settle in, get to know the local people. Break bread and drink wine with them, maybe sing and dance in the street with them if the opportunity arises. 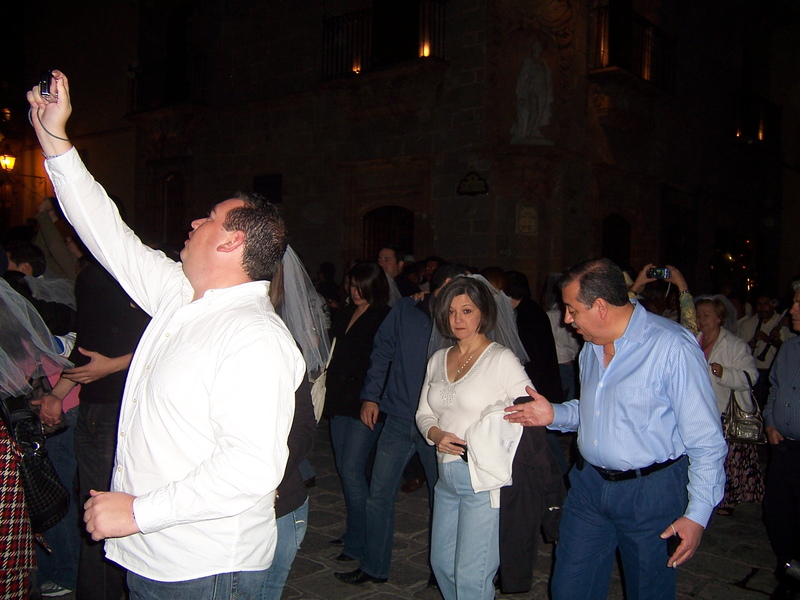 (We did this in San Miguel when we crashed a wedding parade but that’s a different post entirely.) I want to become part of their community. Which got me thinking about what really makes a community and how it kinda feels like we have lost that special connection, at least in this country. We’ve moved away from family and old friends and scattered across the country and around the world. Many of us are yearning for the warm fuzzy feeling that being part of a community used to mean so we create unique “families” and go about trying to bloom where we are planted. I’ve found my own little community at the local Starbucks. Yes, that purveyor of entry level coffee and high fat, high priced sweet treats, big business chain, Starbucks. But, in my humble opinion, there is one thing Starbucks founder, Howard Schultz, got right from the beginning. It’s not about the coffee, it’s about the community. And Starbucks has created one, big time. I’m sitting in a comfy chair with my Awake tea writing this post. I work from home and walk over here pretty much every day so I can be around real people. 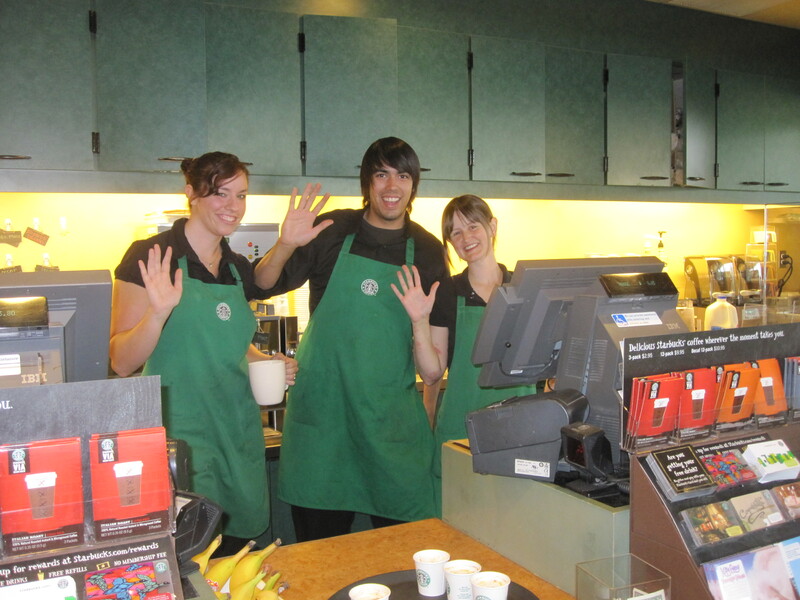 Over the years, I have become part of a community within the Starbucks community. Depending on the time of day, I see different people. We vie for one of the four the comfy chairs on the rug in the middle of the shop. We call it the “island” and we vote people off or on. No kidding! We think we’re clever – go figure. Here’s how it works. If I come between 7:00am and 8:30am, there’s a group I call “the boys”. It took a while but they finally warmed up to me and let the old lady on the island. They started including me in the conversation and saving a chair for me. I know about their kids, their jobs, their cars and their pets. Sometimes, I even know their names. If I come a little later, there is a different crowd – these are the retired crew. Usually just the husbands during the week but they bring their wives with them on the weekends. They are fun and funny always brighten my day. There is a lovely woman who comes every day to sit for hours writing her novel. We’ve talked about walking together but haven’t yet. In the late afternoon, there is a group of us who bring our books or kindles and read. Recently, there’s been an older gentleman who’s obviously had a stroke and lost his language ability who comes in the afternoon to read the paper and have a coffee. I caught his eye and smiled at him every day for a week and then, the other day he lifted his hand and smiled and waved. We connected! I had a moment. Once, I had been out of town for a week and Mary, my first Starbucks friend, called me to make sure I was OK. If this isn’t just like a real community, I don’t know what is. Starbucks is my Cheers – everybody knows my name. The staff is friendly, fun and you feel like part of the family. I bring them treats at Christmas and cheer their accomplishments. So, I guess I’ve been practicing community building all along and when we finally start to travel and live in new places, I’ll use my Starbucks experience – Be the first to smile. Always say hello. Never miss an opportunity to talk to a stranger – you’ll hear the most interesting stories. Take the comfy chair and sit awhile. Relax and enjoy. And, Howard, if you’re reading this…I was only kidding about the coffee. Millions of people enjoy it every day. For me – it’s the Tazo Awake tea in a mug (not paper) and the mini double fudge donut. Good stuff!